The lightning wit was matched by the speed of his deliveries. When he reached 300 Test wickets, the first bowler to do so, Trueman was asked whether anyone else would get there. His response was typical: "Whoever does will be damn tired." And of course he knew he was a great bowler. 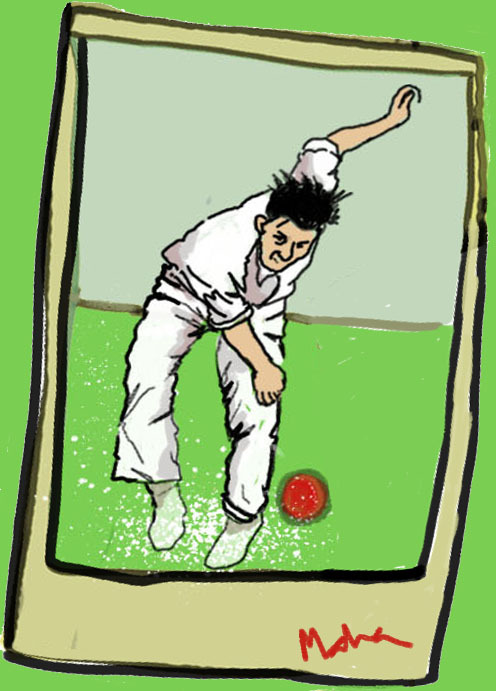 When John Arlott asked whether he had a suggestion for his classic biography (ultimately called 'Fred') Trueman answered "‘T’ Definitive Volume of t’Finest Bloody Fast Bowler that Ever Drew Breath’"
Freddie Trueman was born on February 6, 1931. They don't make them like him any more.